After i take the admission when should i have to go to the counciling centre,if i am alloted to another branch? Should I pay the fees for the first sem or for 2 semesters during counselling for btech course? should i have to attest the admit card and application confirmation page also for the counseling? Will i get cse or it in any of the 2 campuses with gen rank 7760 and nri rank 71? 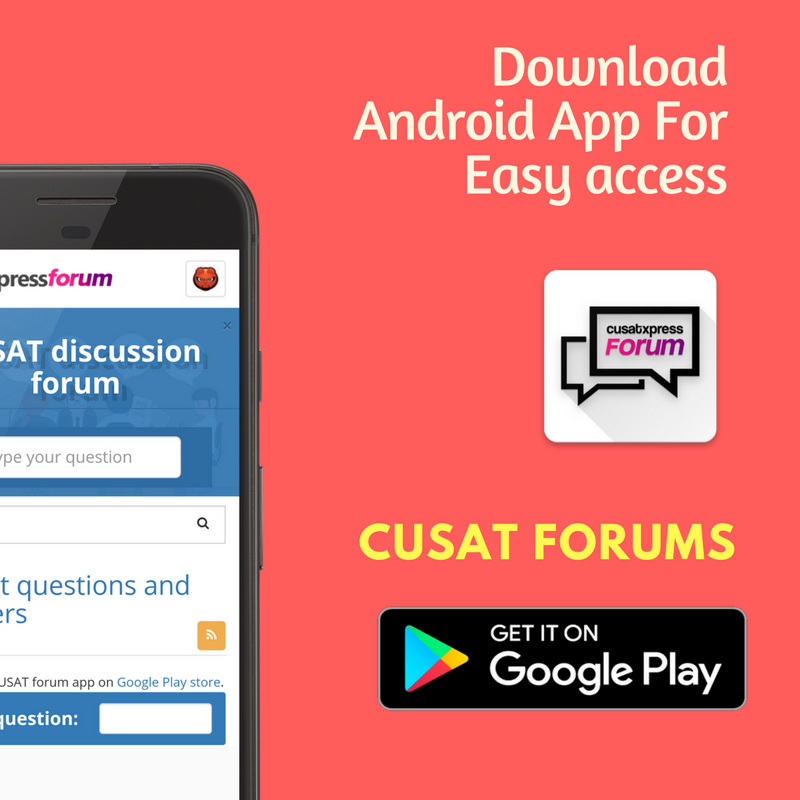 What are the procedures in the Cusat counciling process? sir,the the total amount that u have mentioned for free seat and for payment seat,is it for the complt course? is TC enough to show studies in kerala to prove kerallite status? is the total fees paid during admission is for the whole academic year or should we pay it yearly? Sir, Do I have to get a demand draft ready for paying the fee on day of counselling? What all documents can we bring along, during the admissions to BTech programs, to prove keralite status? Dont you think the councelling procedure has changed a bit this year!